Have you always dreamed of learning another language? 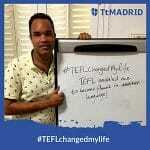 Rory tells us how TEFL helped him fulfill his dreams of becoming fluent in another language. The TEFL course apart from qualifying you to teach it will help you fulfil all your dreams! I worked as a mental health nurse for four years on acute psychiatric wards as well as working with older adults suffering from dementia. I wanted a change of scenery as I had got a bit burnt out from my job. 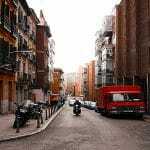 The idea of learning a new language also interested me so I figured out Madrid was the best option. My childhood friend was living in Madrid and knew someone that had done a TEFL course and was making a living teaching English. So I decided to take a sabbatical year from my job and came to do the course at Tt Madrid. After finishing my course I worked mainly in-company while I went for Spanish classes at midday. Once my sabbatical year came to an end, I returned to England, but after 6 months of being back I knew I was missing something. I wanted to go back to Madrid. I made the move permanently and haven’t looked back. My life has gone from stress and living for the weekend to enjoying every moment. I spend my evenings enjoying a beer with friends and speaking Spanish, and my weekends are filled with runs in the sunny parks of my neighborhood and visiting different parts of Spain and Portugal. I have even started learning a third language! If I could give any advice to people thinking about TEFL it’s that you have to follow your instincts! Lots of people told me to stick with my safe life back home, but I knew deep down it wasn’t for me and I am so happy to have been brave enough to take the leap! I love the Spanish way of life and the language. I work really hard to improve every day and also to make sure other people can start their TEFL adventure to achieve their goals too.